What? That doesn’t sound appetizing? 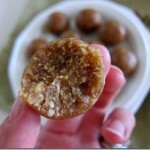 What about Walnut Oatmeal Date Balls? I guess there’s really no way to make a recipe with the word “balls” in it sound incredibly appealing, huh? The good news is that despite the odd name of the balls, they really are delicious. Plus, they only require three ingredients and are super simple to make! I got the idea for the date balls after talking with the Caramel Natural vendor at the Southeast Produce Council’s Southern Expo yesterday. Their display included tons of dates and we got to talking about how dates are used in so many different health bars on the market today. I figured I could make my own health bar at home and set out to do so this morning. 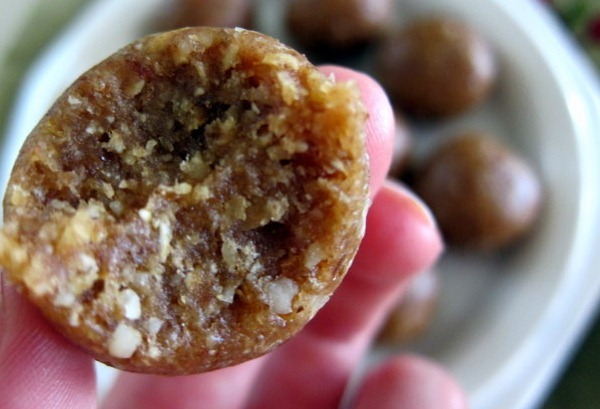 I grabbed a handful of dates and scrounged around in my parents’ pantry looking for nuts to throw into the mix. 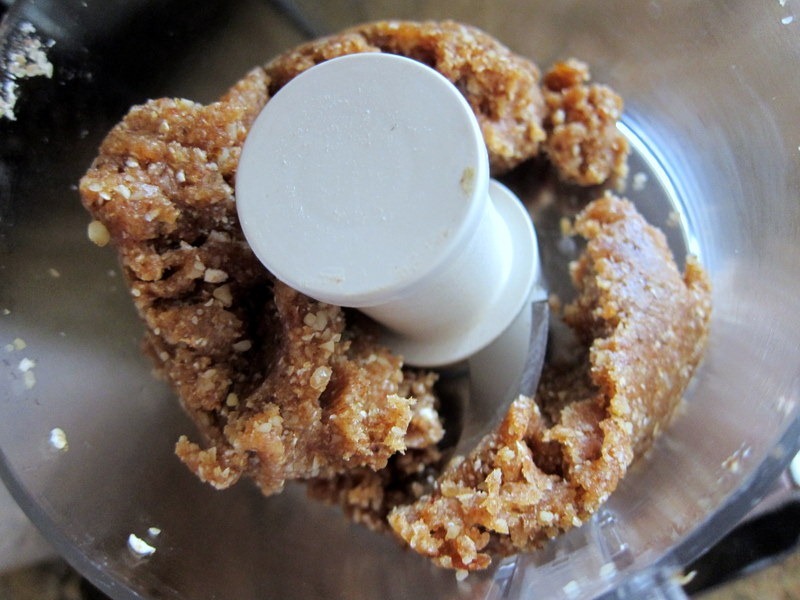 After grabbing raw walnuts and old fashioned oats, I put everything in the food processor and whirred it up until I had a thick batter that wasn’t too sticky. Since I figured molding the batter into bars would be a pain and a little tedious, I simply formed it into about 12 different date balls like Katie did in her German chocolate fudge bites! This dessert recipe only require three ingredients and are super simple to make! My mom and I both ate a couple and packed the rest of the balls away in the fridge for easy snacking throughout the week. 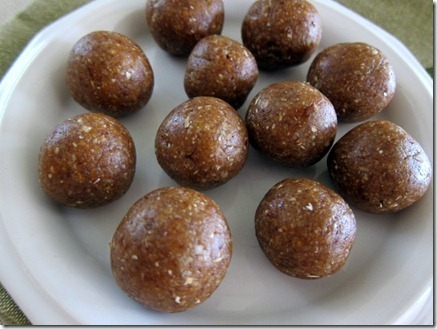 A simple, nutritious snack that is packed with healthy fat, protein and whole grains. A winner in my book! 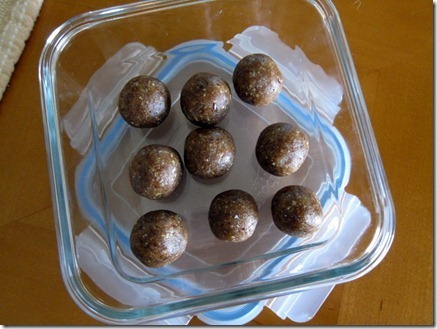 I made these, but as I added a bit of water to my blender to help it along I’ve decided to bake them to help firm up. From my sneak peak taste test these were yummo! what if you don’t have a blender or a food processor? 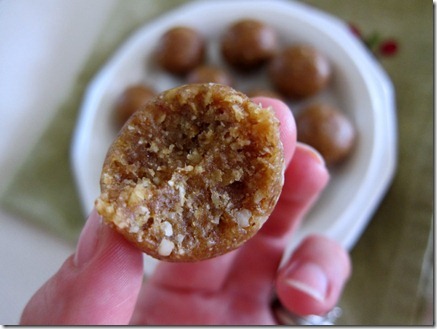 You will need to crush nuts (perhaps in a ziplock and hit with a rolling pin) and finely chop dates. Mix together 🙂 You will just have it chunky style.